UPDATE: Right now, you can get the Avengers Age of Ultron Marvel Legends Infinite Series 4-pack for OVER HALF OFF!!! Plus, if you sign up for a FREE trial of PRIME, you can get free 2 day shipping in time for Christmas! When Avengers: Age of Ultron merchandise hit the market, fans were outraged to find that the female characters were left out yet again (to be fair, so were Quicksilver and Hawkeye a lot of the time). Still, the nerd world raged (with good reason) at the lack of, specifically, Black Widow. 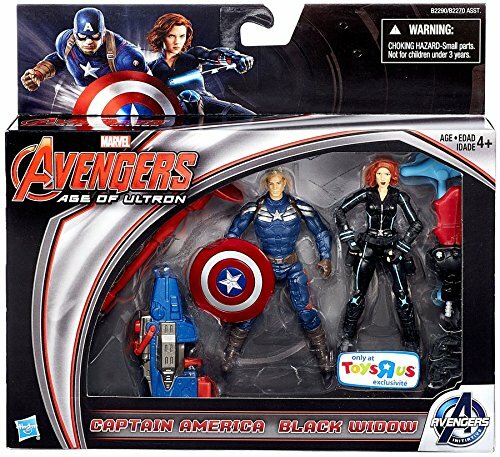 Now, I could point out that technically there is an Age of Ultron Black Widow action figure, but honestly it’s so small and poorly made that it’s not even worth mentioning. Still, while the rest of the world raged, I sat patiently because I knew that there was a good Black Widow action figure; she just hadn’t been released yet. Well, that’s about to change… Get ready to see the “B” Team of the Avengers get their own set of Marvel Legends action figures! Exclusive to Amazon, this four figure set (similar to the TRU-exclusive Agents of S.H.I.E.L.D. 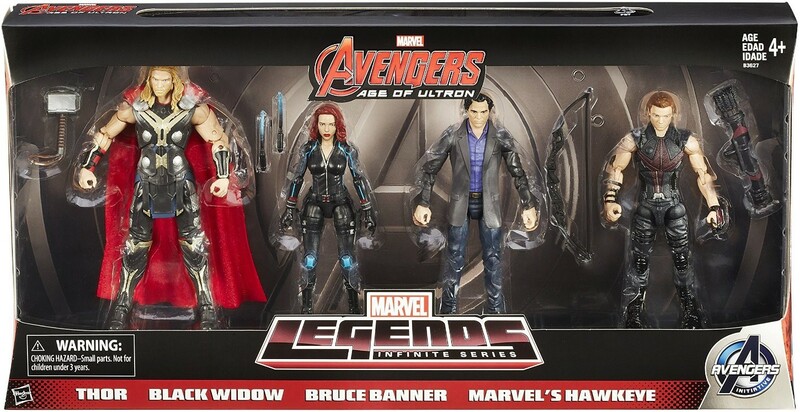 3-pack) includes Thor, Hawkeye, Black Widow, and, in an amazingly cool move, Bruce Banner. That’s right, not only is Black Widow getting her own action figure – the second ScarJo Black Widow in the Marvel Legends line – but we’re also getting a Mark Ruffalo Bruce Banner.